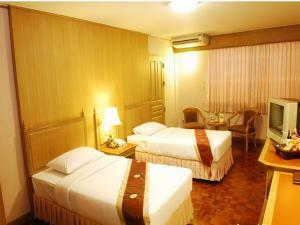 Located in Bangkok City, Silom Village Inn is a 10-minute walk from the vibrant Pat Pong Night Market. 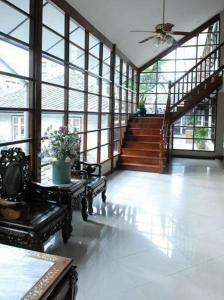 It offers free Wi-Fi, a restaurant and air-conditioned rooms with a TV. 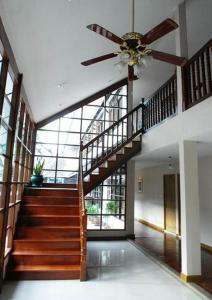 Village Inn Silom is a 10-minute walk from Saladaeng and Surasak BTS Skytrain Stations. 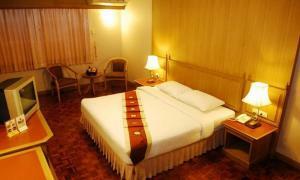 The hotel provides free parking and is a 45-minute drive from Suvarnabhumi International Airport. Modern interiors, warm lighting and wooden flooring feature throughout the cosy guest rooms. Each is well equipped with a personal safe and an en suite bathroom with shower facilities. Silom Village Restaurant serves a variety of Thai and seafood dishes. Guests enjoy the convenience of a 24-hour front desk. Staff at the tour desk can also assist with day trip and travel bookings. 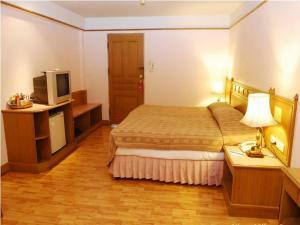 Air-conditioned twin-sharing room features a TV, safe and shower facilities. 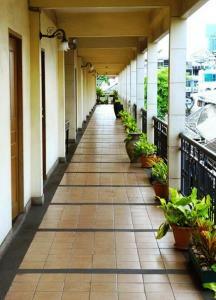 Offering additional living space, this air-conditioned room features a TV, safe and shower facilities. 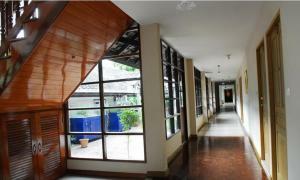 Larger air-conditioned room features a TV, safe and shower facilities. Rate: THB 1300.00; select dates below to get current rates.